Morocco seems like an inexpensive country…until you get here and hear the price asked for just anything from taxi rides to food. Everyone in the tourism industry from hotel chains to the guy shining your shoes in the streets knows the exchange rates for Euro and USD to the Moroccan Dirham (MAD). Although it is still way cheaper than European capitals like London or Paris, life as a tourist (especially in Marrakesh) can very quickly get very expensive. Here are a few tips to make your stay affordable and more local-like. One of the things that does have a fixed price is public transportation between cities, with trusted companies such as CTM and Supratour. With these buses one can travel between big cities for very cheap. For example a trip from Ouarzazate to Agadir (almost 400 km) costs around 140 MDH, or 12 Euros/15 USD. These companies operate from and to Marrakesh, Essaouira, Agadir, etc. and one can also buy a ticket for a portion of those trips if one is getting off at another stop on the way. Get to the bus station or ask anyone in the street where the Supratour station is. best to book one day in advance considering locals also use this means of transportation. Inside cities like Marrakesh you can also take the city bus which costs a flat rate of 4 MAD. A taxi ride can start at 100 MAD (before bargaining) for the same ride. Taking public transportation also gets you from A to B without having to visit your driver’s cousin who sells carpets. Anything from a bus ticket to a bag, ask a local such as someone in your hotel or people you meet on the bus. (aka normal people going to work). This can be applied for bus/transportation but also for bags (ask the max price for example for a bag, or the max price to go somewhere, or to rent a car, or a meal etc.). I usually ask other women on the bus. Transportation: For shorter distances it is also possible to take “Grands taxis” or buses. They can be as cheap as 1 Euro/USD per 10 km of ride. You might be given a much higher price for a bus ticket because you are a foreigner. A good way on paying the right price is to ask someone on the bus how much a ticket costs, or asking someone in the street who has no interest in lying to you, such as someone who is not working in the tourism circuit. Local food is produced with seasonal goods, which local people know how to cook. Is it the orange season? That means markets are filled with tons of oranges and the price goes down, so eat oranges, not dates. 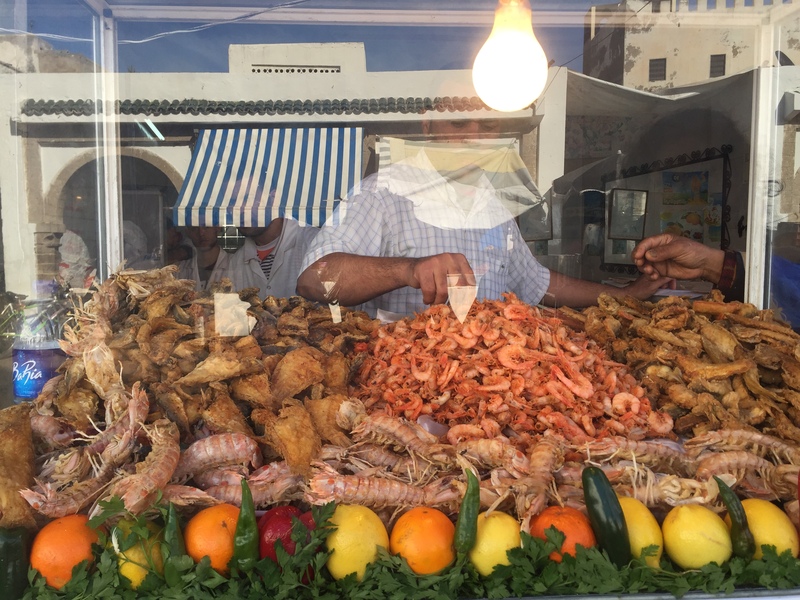 Morocco cuisine has delicious tajines and couscous and pastilla, which are all very cooked fish/meat/vegetables. You are by the sea? Eat fish. You are in an area full of goats? Eat goat meat. Vegetables are obviously always cheaper, and you can get tajine/couscous for as low as 25 MAD (2 Euro/USD) in many villages/towns. Bargaining is something which many Westerners find very uncomfortable. We are used to reading a price tag on something and deciding whether we can afford it/want to buy it. If we do we buy it, if we don’t we walk away. In Morocco it is not like that. Almost anything can be bargained, from bags, carpets, taxi rides, food, night in a hotel, and even postcards. The price the seller gives you is a starting point for negotiation, and is based on many different factors (which I don’t quiet understand yet, but being a tourist increases the start price significantly). 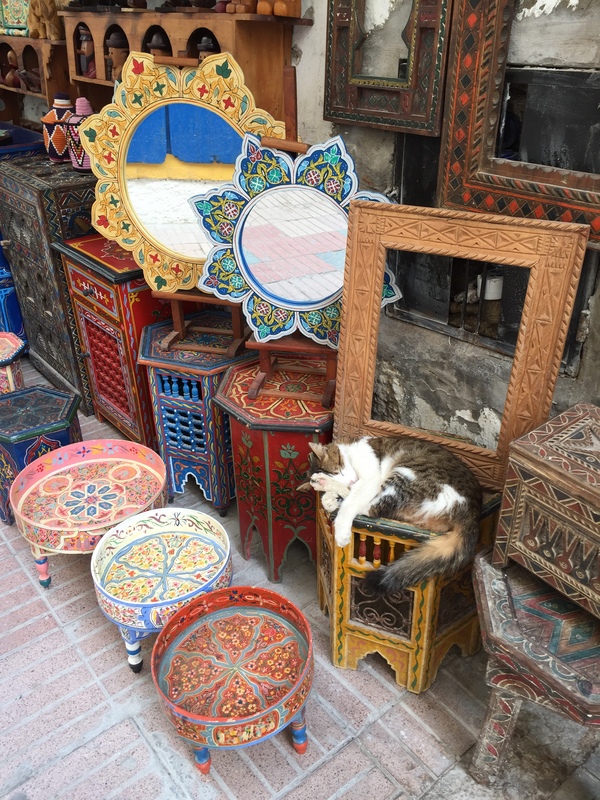 I have observed that in Marrakesh many sellers tend to give foreigners a starting price which is roughly 10 times the actual price of the object you are trying to buy. In smaller places like Tarroudant it is more like 3 times the price. You will almost never pay the local price for something, and I think that is fair enough. You are on holidays and probably come from a more expensive country, have more money etc., so I don’t think it is problematic to pay more than locals. However paying 10 times the price can feel like one has been fooled. Divide that price by anything from 3 to 10 times. Say one price and stick to it. The price you give needs to be a bit lower than the actual price you are ready to give for the item. The seller will try going down from his/her price, you need to stick to your price. Example: the seller says 3000 MAD for a leather bag. Say 400 MAD once, when he goes down to 2000 MAD also say 400 MAD etc. Remember that you need time to bargain. Especially for expensive items such as carpets. When the seller is closer to your price, walk towards the door and say you are not that interested as it is too expensive. Eventually say the price you’d like to pay for it, and hopefully the seller accepts. If he doesn’t you can leave and he will probably catch you. Keep in mind that you might have miscalculated the price of this item, or that the seller will find someone else to sell it to for a higher price. If you really want the item, then when you are the end of the bargain process, you can accept the seller’s price even if it is higher than what you wanted. The problematic is, I didn’t have a distress-free tour, and I can’t offer comfort that traveling through Morocco will be relaxed. But at the same time, just because I had an exciting time in the country doesn’t mean that everybody else will too. 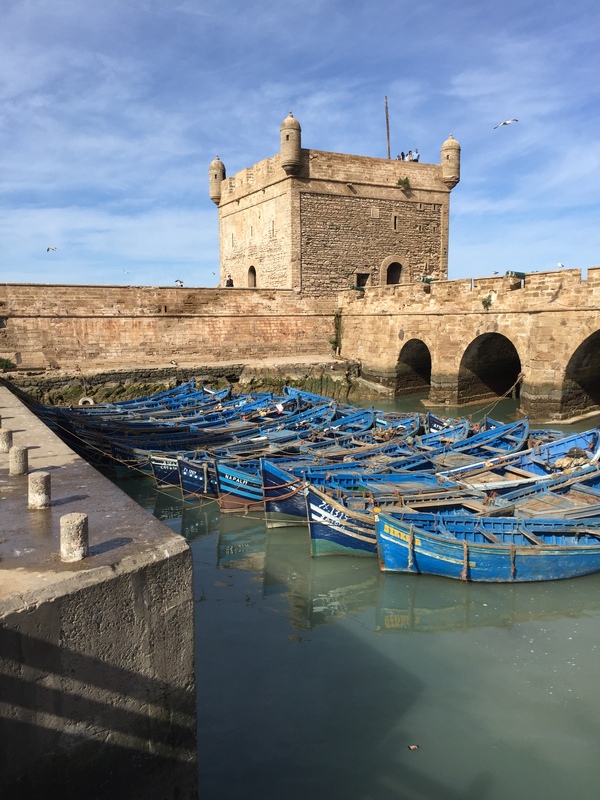 That’s why it’s tough writing articles like this — I don’t want to put anybody off visiting Morocco but I do want to share my individual practices. Morocco is a great place and I am always searching that type of information which gives latest morocco update now finally I got it, keep it up. Je suis reellement decu par cet article … mais pas surprise. Les vendeurs d’Art de ces pays ont une famille, une femme qui travaille tout autant que lui pour subvenir a leurs besoins, des filles qui veulent envoyer a l’universite, des garcons qui revent tout autant d’une vie meilleure. La plupart du temps , ces vendeurs travaillent sans compter les heures, sans milieux de travail adequat, qu’il pleuve ou qu’il vente, avec une chaleur peu supportable. Vous touristes osent payer le prix fort pour ces objets en Europe et aux 4 coins du monde lorsque ces objets sont exposes dans vos grands magasins. Mais dans un pays ” cheap” alors l’homme devient avard au lieu d’etre genereux et oublie la valeur des choses. Car dans ces pays, la pauvrete est bien presente et cela aux yeux de tous et de toutes! Nos artistes et artisans qui perpetuent nos traditons et qui transmettent notre heritage sont l’Or de nos pays. Oui madame, on marchande dans nos pays, mais comme un artiste marchande son oeuvre d’art dans votre pays. 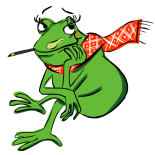 J’espere que vous vous en souviendrais la prochaine fois que vous voyageais dans un “cheap country”, soyez genereuse ! Car en tant que marocaine, je pays aussi le prix fort aussi, pour un but : ameliorer la vie de mon prochain. Car on n’est comme sa, on est genereux, on donne beaucoup. Previous Previous post: Environment: The End of Norway’s Double Standard? Next Next post: What do #MeToo Scandals look like in Norway, World Gender Equality Champion?